If you haven't done your Mother's Day shopping yet then this is the guide for you! To be honest you really don't have a ton of time, but there's just enough to get a last minute online order in or to pick something up in stores. Here I have thirteen gift ideas that are sure to put a smile on your Mom's face! 1. Matching PJ Set- I have a few pairs from this brand and they are the best - also how cute is this tropical print?! 2. Mug- If your Mom loves coffee or tea (or even hot chocolate) you can never go wrong with a mug, especially one like this that is literally made for her! 3. Trinket Dish- A cute little dish like this is a perfect place to put jewelry and looks beautiful on a desk, vanity, or dresser. 4. Candle- Candles are my Mom's favorite so she always loves getting them as gifts. I actually have a diffuser in the scent of the candle pictured here and it smells amazing. 5. Bracelet- I got this for my Mom for Mother's Day a few years ago and she wears it all the time! 6. Earrings- These are the best earrings, they can be worn everyday, come in a bunch of different colors, and make for a great gift. 7. Slippers- I have been on a huge slipper kick lately and think they would make such a perfect gift for your Mom. I'm especially obsessed with this sweet pair and their too cute bows. 8. Necklace- In my opinion you can never go wrong with jewelry, especially a sentimental necklace like this. 9. Leather Pouch- A pouch like this is perfect to hold lipsticks, cards, change, or any other little essentials your Mom might need. 10. Lipstick- This is hands down my holy grail lipstick and I got my Mom addicted to it too! A few colors or even one makes for a great gift. 11. Straw Bag- A straw handbag can be worn all spring and summer and will help your Mom to be super on trend. 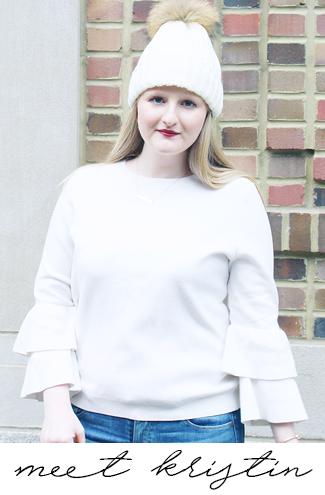 I'm loving this one and it's fun pom pom details. 12. Perfume- Fragrances can be so personal and a pretty perfume is the perfect gift to get your Mom - every time she wears it she'll think of you! 13. Caudalie Gift Set- I have been a huge fan of Caudalie's products for a while now and have loved every one I've tried. I was in Sephora over the weekend and saw this set and couldn't get over how cute the little container it comes in is! With this your Mom will have great skin and a pretty container to store things in too. Have you done your Mother's Day shopping yet? If you did what did you get? If you didn't what do you plan on getting? I would tell you all what I got my Mom, but she reads my blog so I can't give it away 😉 (hi Mom!). Oh my gosh! I love the mug! Love these picks! 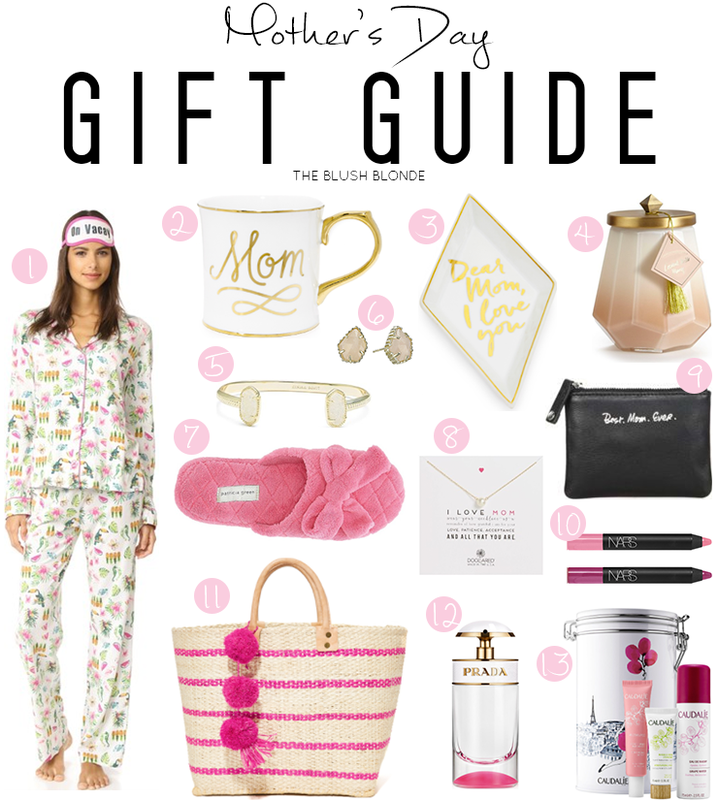 I really like how they aren't the typical gifts either - my mom would love those pjs! I wish I had seen this sooner! This is such a great Mother's Day guide! I actually want alot of these products for myself!! lol. Super cute! These are all such great ideas! I want that pajama set for myself!